Once you’ve chosen your new Buick or GMC, the only thing between you and the road is deciding how to pay. Should you lease or finance your new vehicle? Both options have their own benefits. 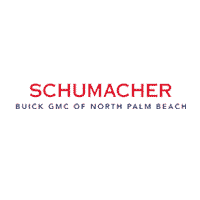 The finance team at Schumacher Buick GMC of North Palm Beach, Florida, has prepared this guide to help you find the right option for you. Leasing or Financing: Which Option is Right for You? If you choose to lease, you’ll pay less up front and less in monthly fees. Maintenance is also more affordable, with manufacturer warranties covering most repairs. You’ll also be able to swap out your vehicle for a newer one when the lease deal is up. Because you do not own your lease, you may need to adhere to modification and mileage restrictions. After you are finished with the payment period of a financed car, you own it. This means you won’t need to worry about mileage or customization limitations. However, upfront and monthly costs are typically more. You’ll also need to pay for repairs once the warranties are up. Still not sure which option works best for you? We can help. Just contact our finance team at 561-282-1957.